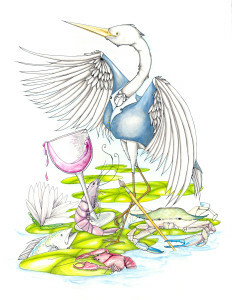 I won the poster contest for Mandeville’s 2014 Octoberfeast with this playful drawing! 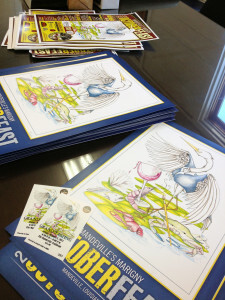 Limited edition signed posters were offered through the Mandeville Trailhead. The original is no longer available, it recently found a home with a private collector. The Mandeville Trailhead is located at 675 Lafitte Street in Mandeville, Louisiana, and can be called at: (985) 624-3147. In honor of Mandeville’s founder, Bernard de Marigny. Signing Posters at the Trailhead!